Mr. Theodor Seuss Geisel, also loving known as Dr. Seuss, wrote and drew the treasured children’s book, How the Grinch Stole Christmas, among many others. I first want to make this perfectly clear, out of due respect (as well as respecting the law), I do not want to take credit for any of Dr. Seuss’s works, specifically this story, nor will I sell or obtain any earnings from his efforts. What is his, is his. 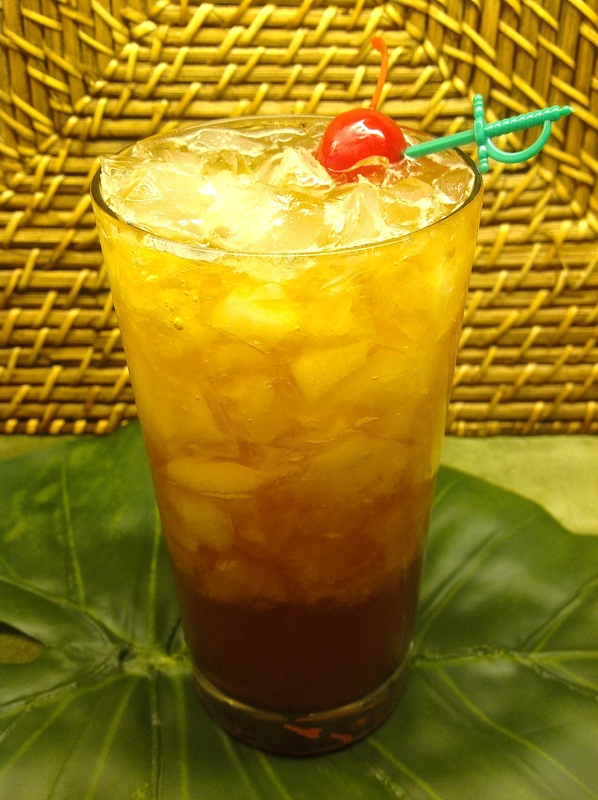 I grew up reading and listening to his delightful stories, and do not aspire to take anything from him, not even by means of the drink I’m writing about this time, which is based on Beachbum Berry’s research on the Tonga Room Zombie – a fantastic drink. Shake enthusiastically with crushed ice. Pour unstrained into a chilled glass or tiki mug. Garnish: cherry/lime slice/pineapple chunk. Stood puzzling and puzzling: "How could it be so?" Then the (Zombie) thought of something he hadn't before! "Maybe Christmas...perhaps...means a little bit more!" That the (Zombie's) small heart grew three sizes that day! He whizzed with his load through the bright morning light. I substituted out the pineapple juice because I wanted to add a little more sweetness to pineapple’s simultaneous sweet and tart flavor. I adore pineapple, as it is my favorite fruit. Guava lends so much harmony when confronting passion fruit’s melody. Most of it, however, has to do with my inability to explain what passion fruit and guava do together. They are fantastic by themselves, but become a true marvel together. Also, I confess my desire for guava in many more drinks, as another one of my favorite fruits. To cut a single drop of liquid, in this case potent food coloring, with a dropper – drip onto a wet spoon, then run that off into my mixing glass. Enough residue will remain on the spoon, and not making the drink quite so vivid (food coloring will stick to a dry spoon much more, not supplying enough color to the drink). Unfortunately, I do not have any tiki mugs yet, which is one reason I took the picture below. The main reason – clear glass shows the color of the drink. Welcome back to Who-ville, Mr. Grinch. Will it be your usual, or shall I shake up something else for you? Shake hard with crushed ice. Pour unstrained into a chilled zombie glass, or collins glass, or tiki mug. Fill glass with more ice if necessary. 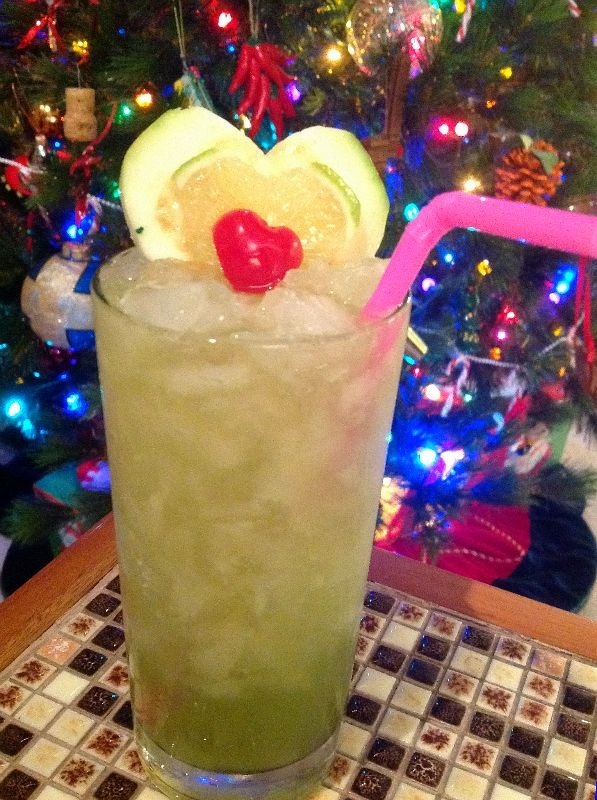 Garnish: Cut guava slice/lime slice & cherry half in shape of a heart (Grinch’s heart growing 3 sizes). If you prefer it sweeter, that is not as tart, add a 1/2 oz of simple syrup. Merry Christmas. And for those who do not celebrate Christmas, I hope you revel for whatever reason you wish. Is living another day reason enough? Enjoy your life with those you care about, and may it be merry. Cheers to you all. For anyone who has searched the internet, or hunted down books, they know there are a great many Planter’s Punch recipes out there. It is not one of the oldest alcoholic beverages, aging as hundreds of years than thousands of years. Yet, when considering the lifespan of rum, or what was first called “Rumbullion” (1650s), it is an old recipe, 200 years old – and still looking good. 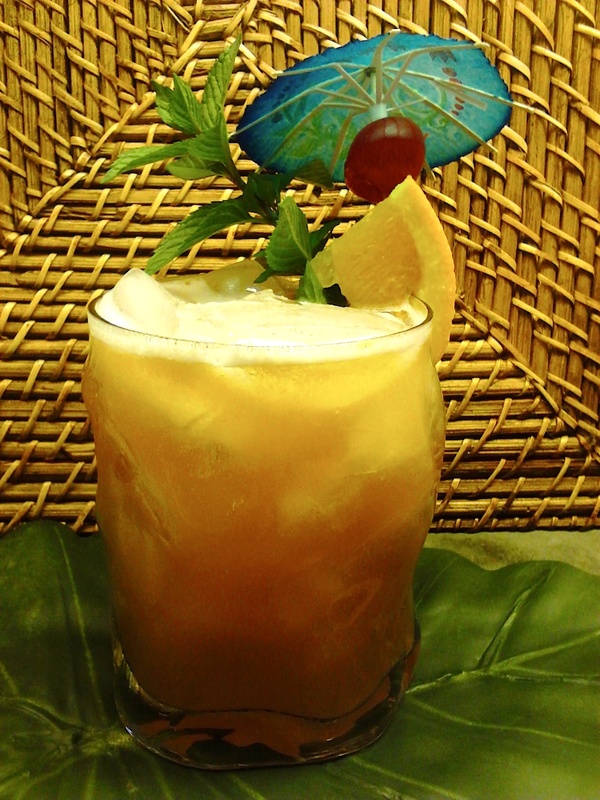 Out of all the tiki drinks, “Polynesian” drinks, Caribbean drinks, or tropical drinks, out of the great many drinks to choose from – there were the first ones, the ones which started the craze, the originals. Afterwards, numbering like the stars in the night sky, they opened the doors for a new creativity (or some not so much, more like stealing). But in the beginning, which is a broad span of time, it astonishes me how most tropical drinks were not created anywhere near the tropics, but as a tribute to them, or most likely to remind people of far away exotic places. Thanks to what I read from Beachbum Berry’s book, Remixed, when it comes to classic tropical drinks, the Daiquiri (Cuba), Planter’s Punch (Jamaica), and Dr. Funk (Samoa) are the only originated in the tropics. I have mentioned the Daiquiri in an earlier post, now I must pay my respects to another fostering fortification. "Planter's Punch! A West Indian Recipe"
The mixture looks smooth, soft, and nice. And four of cold water please take. At least, so they say in Jamaica. Dear brother in the heat. And add four parts of weak. I know whereof I speak. Note: Back then, a “wine-glass” measurement was considered 2 ounces. I need to say something about the garnish, because in this case it has to do with Jamaica more than it has to do with this drink. Garnishing basically does two things: It makes the cocktail look nice, and it gives off a scent, or sometimes many scents. Of course there is the option of eating your garnish. With that said, I’m throwing all of that out the window for this drink, just this once, and intend a garnish to mean more. This garnish means something else. Jamaica. Please go there, and have the best time of your life. Please spend lots of money on the island, please eat all you can and as many different things you can find. I went with a group of finicky eaters, except for one. He and I ate like kings on what the rest refused to eat, or too frightened to swallow. I could go on and on about how many delicious foods and drinks come from that phenomenal island. I’ll leave that between you and your internet. I was lucky to study for a short time in Jamaica, far too short, and still miss the friends I made there. My school sponsored a semester abroad, allowing me attendance to two universities (and a home-stay) in both Kingston and Mandeville. When not in the classroom, we drove all over the island to celebrate “weekends” or “vacations” for the sake of exploration and curiosity. It was simply glorious. Ninety-nine life-changing days, ninety-nine days of paradise, ninety-nine days of beautiful scenery and beautiful people, including ninety-nine days of widespread poverty, yet always the wondrous sensation of the Jamaican spirit. Please do no go to Jamaica for the place alone – it’s the people who make the place. The nation is both land and people – the people become the land as the land becomes the people. Please go there on vacation, and meet as many people as you can. 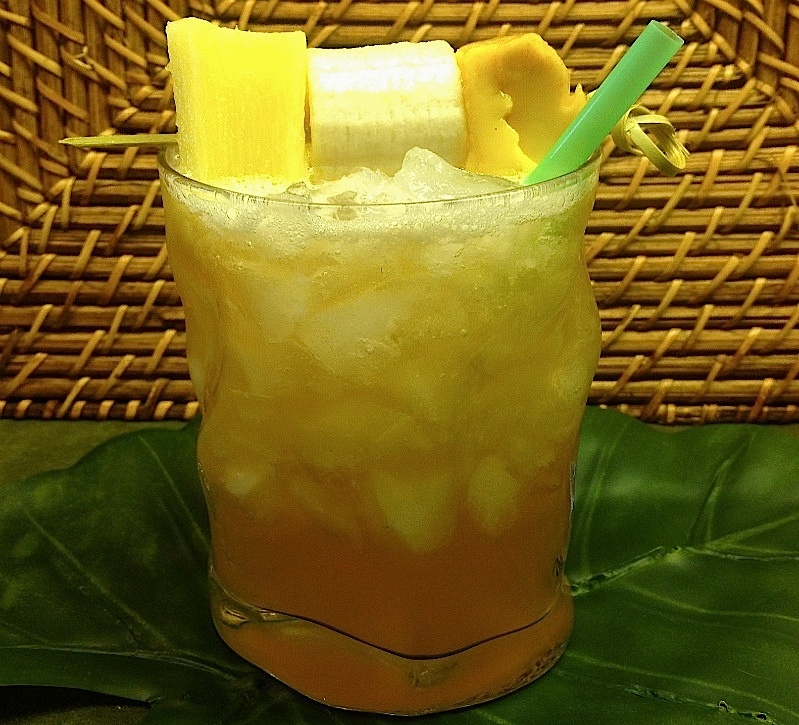 When I thought of making this drink, I wanted to separate the garnish from the thought process by using it to reflect my time on Jamaica, instead of provoking the flavors of the drink. I drove by a banana plantation, noticing only for a moment a few banana pickers. They wore next to nothing. The term “rag” held more of a definition to that of fabric than what those men wore in the jungle. Then on a northern beach, on holiday, as a marching band played one of my favorite Bob Marley tunes, I bought the sweetest pineapple I’ve ever tasted from one of the sweetest ladies I’ve ever met. And finally, while staying in Kingston at the Cole’s, at least two different mango trees fed us daily (of course not the only thing – some of the best food I’ve ever eaten was made by Mrs. Cole). I will always remember Mrs. Cole (and her family, as well as Velita, the woman who worked there). When I see a mango, or eat one, my mind immediately takes me to the comfort she provided under her roof. I will always remember the kind woman who sold me the little pineapple before a rain came. Regardless if it was such a short conversation, that spectacularly-filled moment marked itself in my memory whenever I eat pineapple – a moment so full of powerfully remembered events, making an ordinary day a holiday in its own right. I will always remember those men walking along the road, wearing strings for clothing under the dark shade of the dense banana fronds, foregrounding a waterfalls in the distant mountains. I asked myself in that VW bus, “How long until jungles no longer exist?” That moment is a permanent memory, and one I think of often, since I am able to buy bananas anytime. These three fruits do not sum up all of my experiences in Jamaica. However, this is the most honest representation I could think of without the use of a Jamaican flag. Inhale deeply when you drink this, as with all drinks, but in this example inhale and imagine Jamaica. Warm honey so it will shake more easily into other liquids. Shake ingredients with crushed ice until frost begins to form on metal shaker. Pour unstrained into chilled glass. Add more ice to fill if necessary. Garnish with sizable chunks of pineapple, banana and mango (if the mango is too thin after cutting from the seed, join pieces and trim to look like one big piece). I called the next recipe a Fizz because of the definition of a Fizz, which takes after an older invention – the Sour. A Sour is a spirit mixed with an acidic juice and sugar. The Fizz is basically a spirit mixed with an acidic juice and carbonated water, whose fame grew substantially in America between 1900 and the 1940s. The Gin Fizz was particularly popular in New Orleans, another town specialty. Wray & Nephew and Ting go great together. There are a lot of people who don’t care for the flavor of Wray & Nephew rum, and understandably so since it has a unique taste about it. And mixing it with other rums can get a little tricky because it can take over even after adding such a small amount. 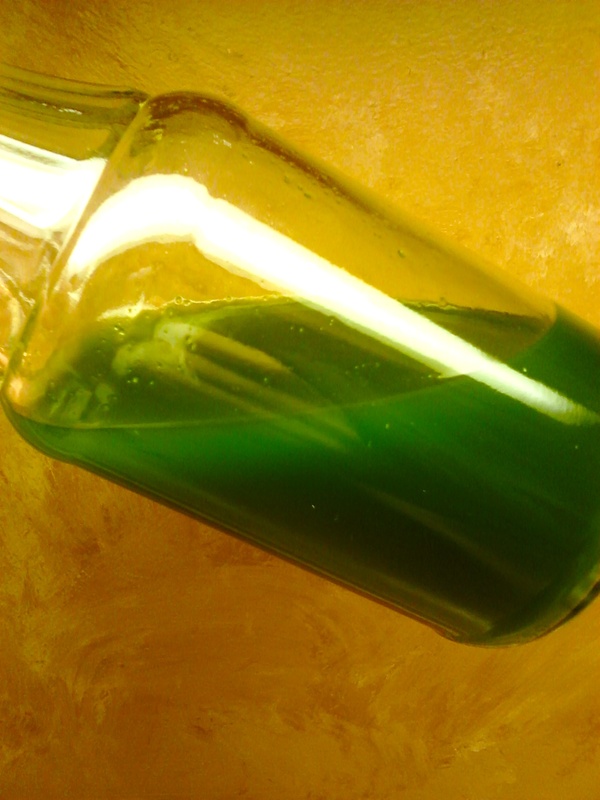 I think of it very similarly to that of Maraschino liqueur – any more than a dash will alter the drink irrecoverably. Another good example is demonstrated from the movie, The Myth of Fingerprints, where they briefly discuss the concept of spreading too much mustard on a sandwich, and in effect creating nothing more than a mustard sandwich. Reluctant in adding too much Wray & Nephew, yet hoping the Myers’s rum would play its mellow pronouncements well enough in contrast, I knew the overproof would win since the term “overproof” essentially means more flavor anyway. And for those unfamiliar with overproof rums, please always remember they are twice as strong, and require half as much for both flavor and alcoholic effect. Shake all but pop with ice, pouring unstrained into chilled tall glass. Stir pop in gently. Garnish with a cherry. Will the Planter’s Fizz become my precedent recipe for Planter’s Punch? Absolutely not. The most simplistic version is what I will drink the most, followed by others’ renditions. Only after properly paying tribute will I shake-up my own recipes. Mojitos in the summertime…mmm…refreshing and invigorating. In Beachbum Berry’s book Remixed (yeah – I really like what the man has offered the world), he made a rendition of the drink, calling it a Frohito. I thoroughly enjoyed that drink, and appreciated the mint syrup aspect of it. I have nothing against the Mojito, and will continue to drink them without reservation. The Bum’s idea tasted almost the same, but smoother, friendlier, and since it’s frozen – slower going down (I normally drink Mojitos on the rocks). I enjoy making flavored syrups, or if your prefer “infused simple syrups”, and like how a syrup can pack flavor in, while softening the flavor as well. After trying the Frohito, I thought, “What about a lime syrup too?” I also wanted a more Cuban style rum, as the last change to his recipe. Making these syrups is more work than you may intend. However, making syrups are just as rewarding as drinking them, at least in my opinion. If you do not agree, there are mint syrups and lime syrups for purchase. No big deal. It might go without saying a homemade version will taste better, and the only preservative is vodka. Something else to keep in mind, if you are making more drinks, and have no intension of storing these syrups (or any syrups), there is no need to add vodka, since its only use is preservation. Pour 1/4 oz mint syrup into 2 chilled glasses, each. Blend rum, lime juice, lime syrup and ice until frappéd. Gently pour (pile…it’s got to be thick) equal amounts of slush into each glass. Top each drink with 1/4 oz mint syrup. Garnish with small mint sprig and lime wheel. First, you need to set up the ingredients, then you can drink. 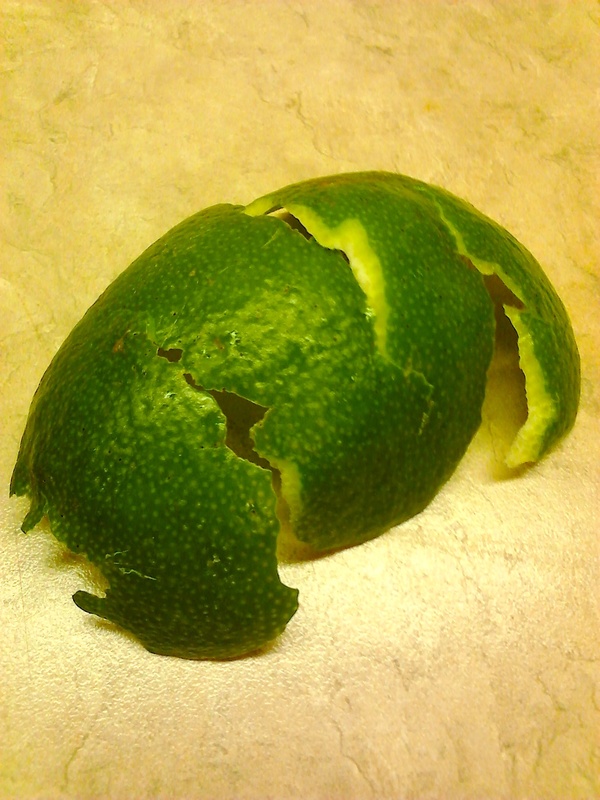 Peel the lime, since it is difficult after the lime is squeezed. I know I said in the ingredients half a lime’s peal, and making it one piece. I guess I live in Utopia, but try your best. Sometimes pealing in a zig-zag pattern works…sometimes. Regardless, two whole pieces are fine, or even three. My point is not to grate the peal – keeping as solid of a surface area as possible. Bring water and juice to a slow boil (slowly). Add sugar and peal, and slow boil for 2 minutes, stirring constantly. I may not understand this, but I rapid boiling might be too high of a temperature. Take pan off heat, keep stirring until sugar dissolves. Cover, let sit for 1 hour. Uncover, remove peel, and let cool. Strain through a fine-meshed sieve. Bottle, adding a cap-full of vodka, gently stirring in to incorporate, or stir in the vodka before bottling – whichever is easiest. Store in the refrigerator. May keep up to 3 weeks. As with all syrups, keep a close eye on them for any change. It’s so dark you can’t see light through it. Mmm…I can’t wait! 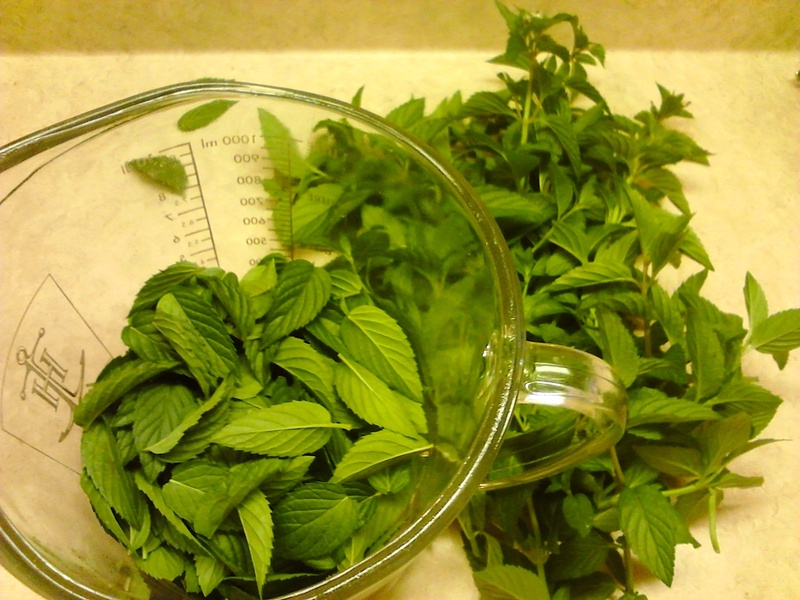 The most time-consuming part of making mint syrup. 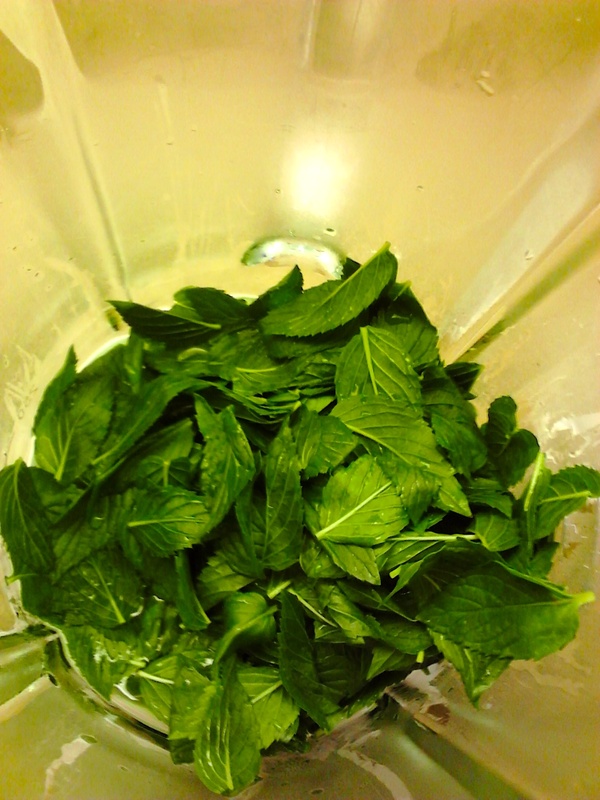 Wash 2 bunches of mint in cold water, stripping leaves from stems, discard the stems. 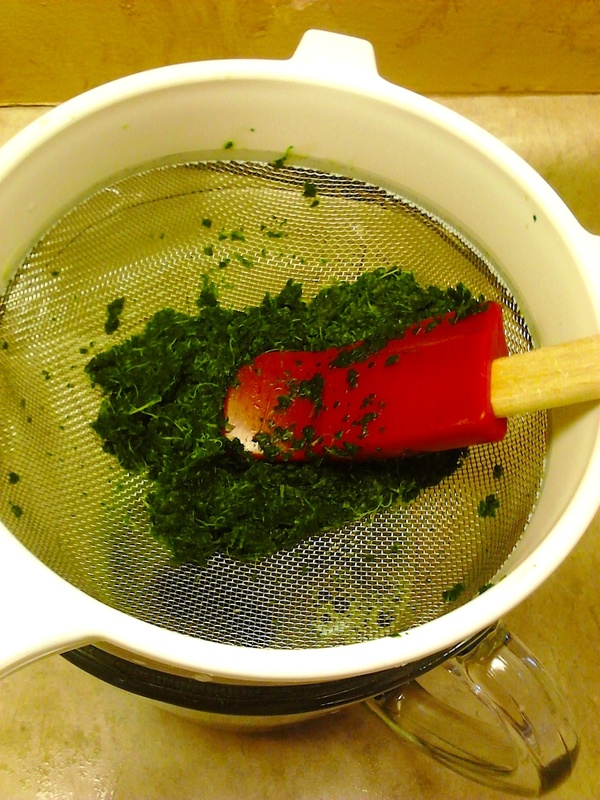 Tightly pack leaves into an 8-ounce cup, empty into a pan filled half way with rapidly boiling water. You’ll really like the smell of this. After 5 seconds or so, when the leaves wilt and vibrantly turn green, swiftly strain the leaves. I bought one bottle at the store because it’s a good-sized bottle. 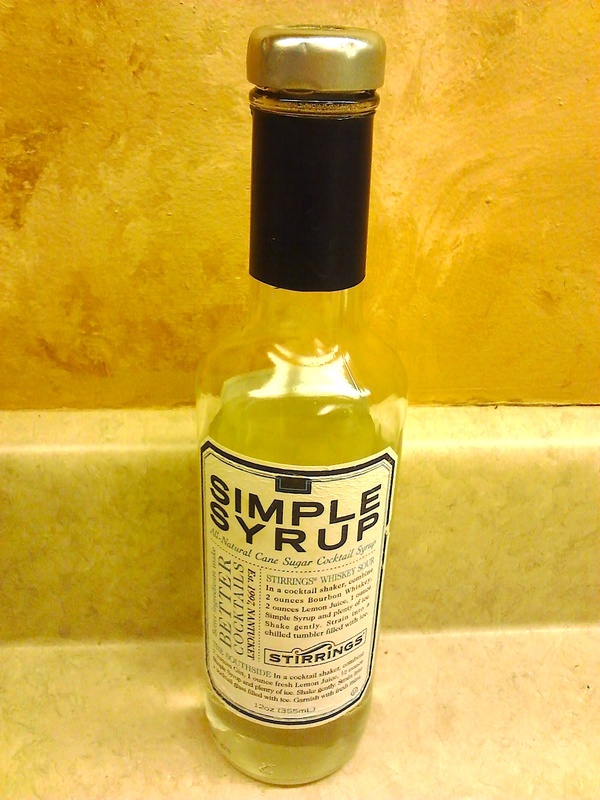 Ever since I have made my own simple syrup, which is a huge savings for one, and better tasting. Blend with 3 oz of simple syrup until completely liquified, scraping the insides of the blender to get every tidbit chewn. Don’t you hate when this happens? With a fine-meshed sieve, strain by pressing down to get as much syrup possible. Toss the solids. Stir in a cap-full of vodka, and bottle. Store in the fridge. 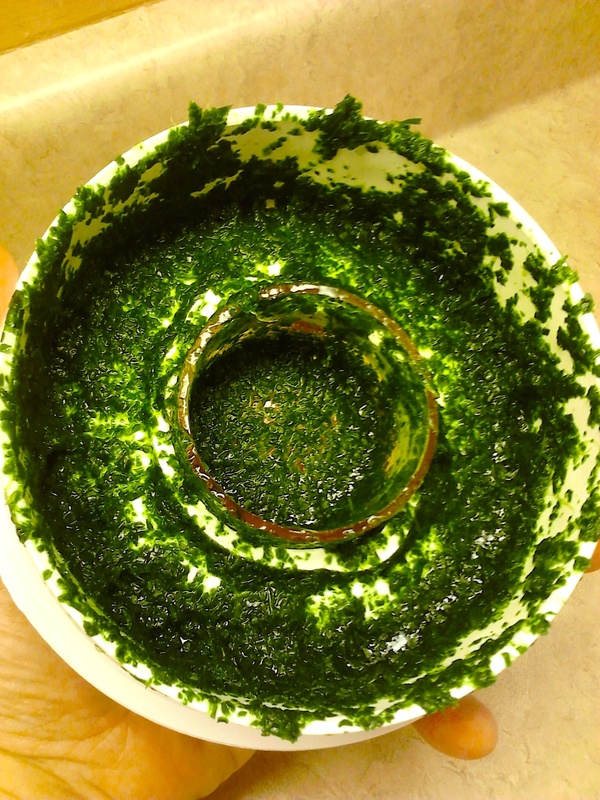 You should get 3 ounces of lovely deep green mint syrup, and can drink off that for maybe 2 weeks. But even with the preserving vodka, keep an eye on it. Without vodka, it’d last only a few days (I got this recipe from Beachbum Berry, in his book Remixed. Yet in the instructions to this, he said he adapted it from a 2003 recipe from one of Martha Stewart’s magazines. When I searched for it to see how different, I found an updated recipe in Martha Stewart Living, May 2010, which looks closer to this. I don’t want to get into trouble, nor from Mr. Berry for that matter). Especially after making infused syrups for a couple of hours, this tasted that much better. As you can see, this recipe is for 2 glasses. Making one is possible by halving the ingredients, yet is so much more friendly if including someone else you care about. 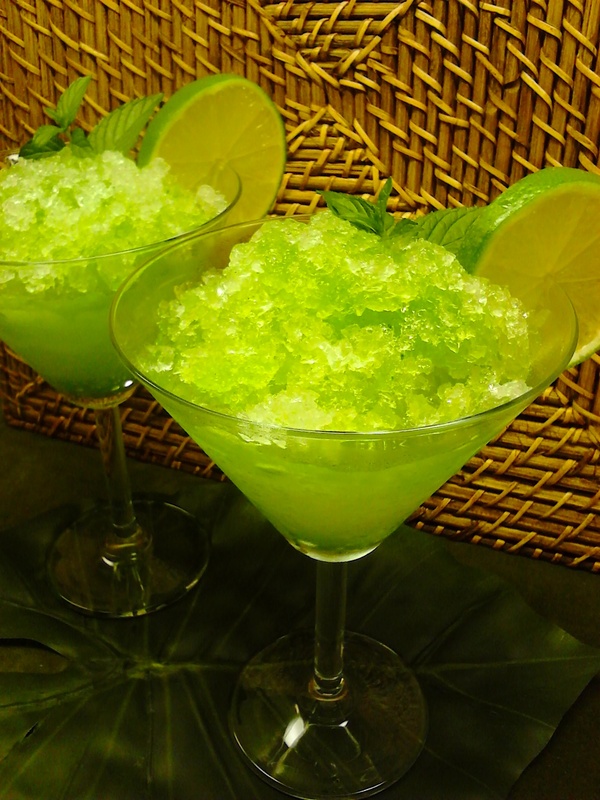 Understandably sweeter than the mojito you might be used to, this drink simply seems more refreshing, whether due to its smoothness from the shaved ice, or a trick played from not using citrus juice and raw vegetation. When first trying this, I did not have the 1/2 oz of lime juice in the recipe. My lovely wife, who normally, if not always, preferring sweeter drinks to mine even said she wanted a little more lime flavor, but no more lime syrup with how sweet it already was. 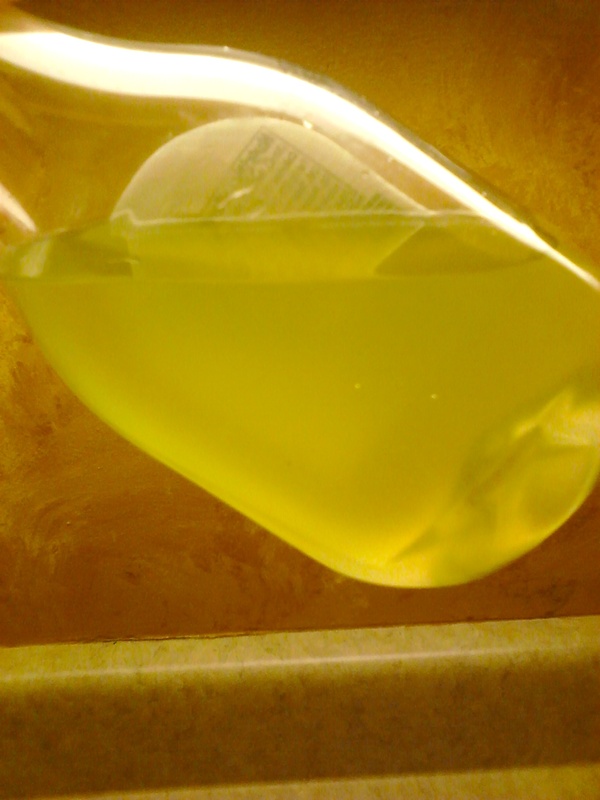 After stirring in a 1/4 oz of lime juice to each glass, it evened the score and made it a better drink. If you’re slow-grilling for 3 hours, enjoying a hot weekend get-together, or imagining a trip to an island in the Spanish Caribbean, frappé some of these up and make your relationships stronger. And something I should say with every alcoholic recipe – please drink responsibly. A little after posting the Powell Point Punch, I began to wonder what was out there when it came to the three ingredients of pineapple, cranberry and grapefruit. A funny thing happened – I found not only a drink that sported the three, but nearly had all the ingredients of another of my posted drinks as well (POG). Reading Beachbum Berry’s book Remixed, I came across Bob Esmino’s Kijiya Lapu. What I wanted to do was fiddle with Bob’s great drink, but still remaining devoted to his reasoning. It comes down to a balancing act, sweet versus sour, like two teams with many members on each side of the rope playing tug-of-war, and rum is the rope. My first thoughts before tasting it was not nervousness, but doubt. I hoped the two drinks I liked wouldn’t ruin each other in the same glass. Bob Esmino made a better drink, neither was his drink improved. I simply made a different drink. But it’s similar in many ways. Changing the proportions altered the drink all by itself. Also, it only made sense (to me) to add guava juice (regardless if I think the world is a better place with more guava in it). Shake with lots of ice. Pour without straining into large chilled glass, adding more ice if needed. Garnish with orange, cherry, mint, and an umbrella. **Honey mix is simply equal portions honey to hot water, mixing until honey is dissolved. Honey blends better this way; and you can get it all out of your jigger.